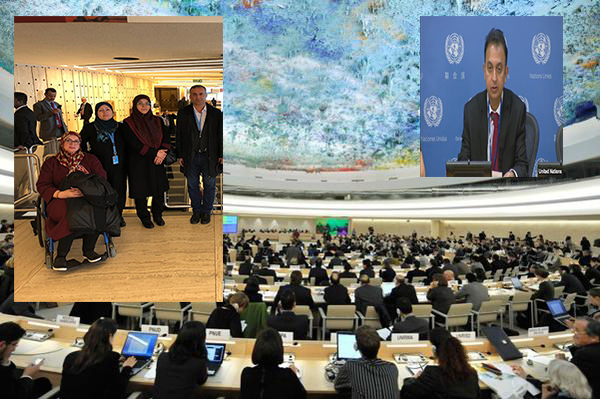 Members of the Association for Defending Victims of Terrorism discussed with Javaid Rehman, UN Special Rapporteur on the situation of human rights in the Islamic Republic of Iran, in 40th session of Human Rights Council in Geneva (March 2019). 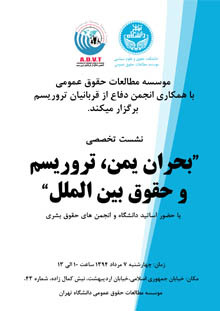 In this meeting, some of the families of the martyrs and disabled of the terrorism in Iran after describing their family members’ martyrdom and disablement situation, introduce the Association as the representative of the victim of terrorism family and its activities in the field of human rights. 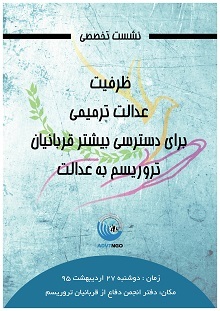 One of the members of the Association said that, human rights is a consistence complex and should be seen as a process and the static and selective view to human rights is not useful for its development and worsens the situation of civil society and development of humanitarian ideals in Iran and has a periodic progress. One member of the Association said that, yes , that is a terrorist attack and the government of Pakistan and some countries have condemned it. Government of Pakistan has announced that it is ready for cooperation with Iran to arrest the culprits. But some governments as KSA, France, US and Israel support the terrorist groups in Iran like the Junduallah and Mujahedin Khalq (MKO) terrorist groups. The member of the Association continued that, paying attention to the human rights of the victims of terrorism in Iran without attention to the role of foreign countries in supporting the terrorist groups is not useful. How a child victim of terrorism in Iran who are witness of being the terrorists free in the western countries and UN can trust to the mechanisms of UN and international institutions for protecting and developing the Human Rights? 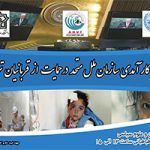 At the end, Javaid Rehman asserted this point and said that he will consider these points in his future reports and wanted from the members of Association to send him their information about terrorist groups and victims of terrorism in Iran. 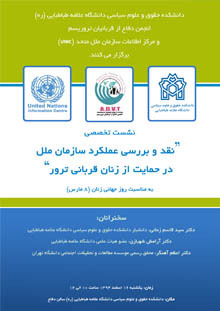 the members of Association for Defending Victims of Terrorism () met with UN officials and members of other countries representative in this session of Human Rights Council and organized the panel of “ grieve of the children in pursuit of justice” which attended by global figures and human rights activists.